You might have heard about so many diets, some require no-fat meals, some makes you survive only on soup, while some tell you to take six-small-meals, or raw veggies with no dressing to lose weight fast. Many such diets come and go but the best ones are those that are effective and fits best to your individual needs. Nowadays, intermittent fasting has become very popular as it claims assured weight loss, in addition to improving metabolic health. The secret behind this diet plan to lose weight isn’t about actual dieting but instead skipping meals every once in a while. The diet is about fasting, usually 16-24 hours throughout the week with few to no calories. Thus, unlike calorie restriction diets, intermittent fasting doesn’t require you to count calories all the time and is just as effective as any other diet. However, it is important to choose the right method of intermittent fasting that’ll work best for you by considering your individual needs. 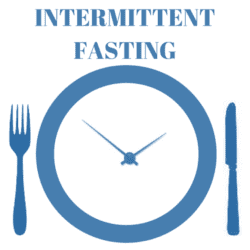 There are different methods of intermittent fasting and each one has its own rules regarding the period of fasting and what to eat during the “feeding” phase. Therefore, before getting started, you need to know their basics of how they work and which one will be right for you. Here are some the most popular methods of intermittent fasting and choosing anyone depends on your personal goals and lifestyle. Most dieters find the alternate day diet as the easiest one to continue. The method includes eating very little one day and normal on the next. This means, for the first 24 hours, you consume water and 500 calories of which 200 are to be protein. On the next day, you can eat whatever you want. This method is best for dedicated gym-goers who aim to lose body fat and build muscles. In this method, women are required to fast for 14 hours and men for 16 hours each day, and then “feed” for the remaining eight to 10 hours. People find this method easy because usually, they fast through the night and for about six hours after waking up. This is a no calories plan for fasting period and only black coffee, calorie-free sweeteners, and sugar-free gum are allowed. The best thing about the plan is that you can eat whenever you want to within the eight-hour “feeding” period. However, leangains has specific guidelines for what to eat. The warrior diet, as the name suggests is for the devoted people who can fast for about 20 hours every day. After the fasting hours, you are allowed to eat one large meal at night. In the fasting period, the Warriors are allowed to eat a few small snacks like raw fruit or veggies, and fresh juice, which can make it easier to get through. The four-hour eating is at night in order to help the body in recovering plus to promote relaxation and digestion. This method is best suited for people simply looking for an extra boost by eating in moderation. Here, a person needs to fast for 24 hours once or twice per week in which nothing is consumed, except drinking calorie-free beverages. After the fast is over, you can eat whatever you want, but in moderation. This plan needs to be accompanied by regular workouts to achieve your goals. All these methods are known for helping people in achieving their weight loss goals. If you’re also looking for weight loss in Toronto, intermittent fasting is for you. Intermittent fasting is actually nothing new. It is the ancient secret of health that people are re-discovering now.